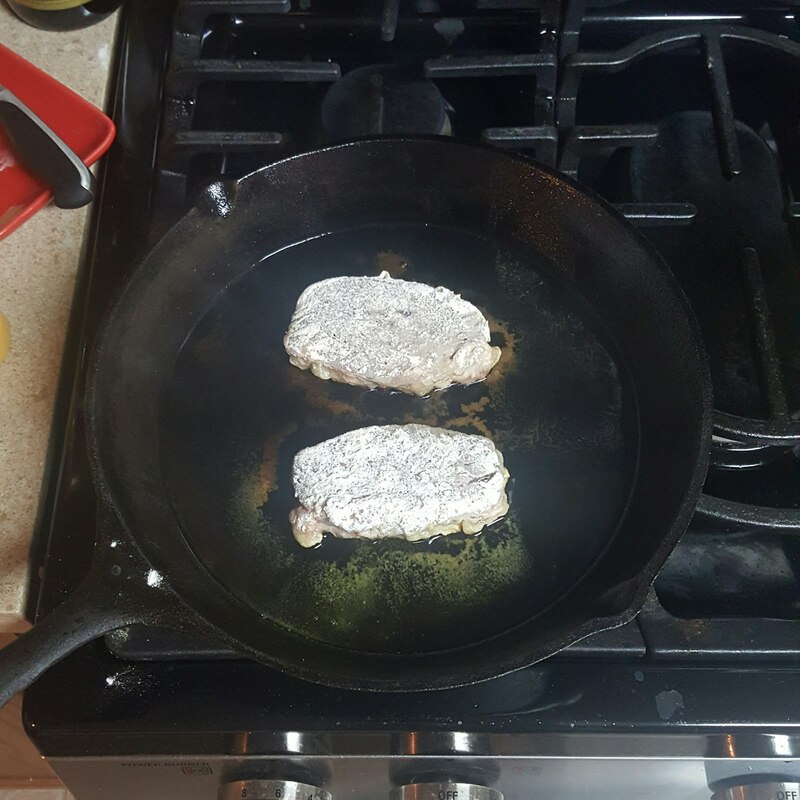 Over the weekend, my dad gave me some venison steaks. 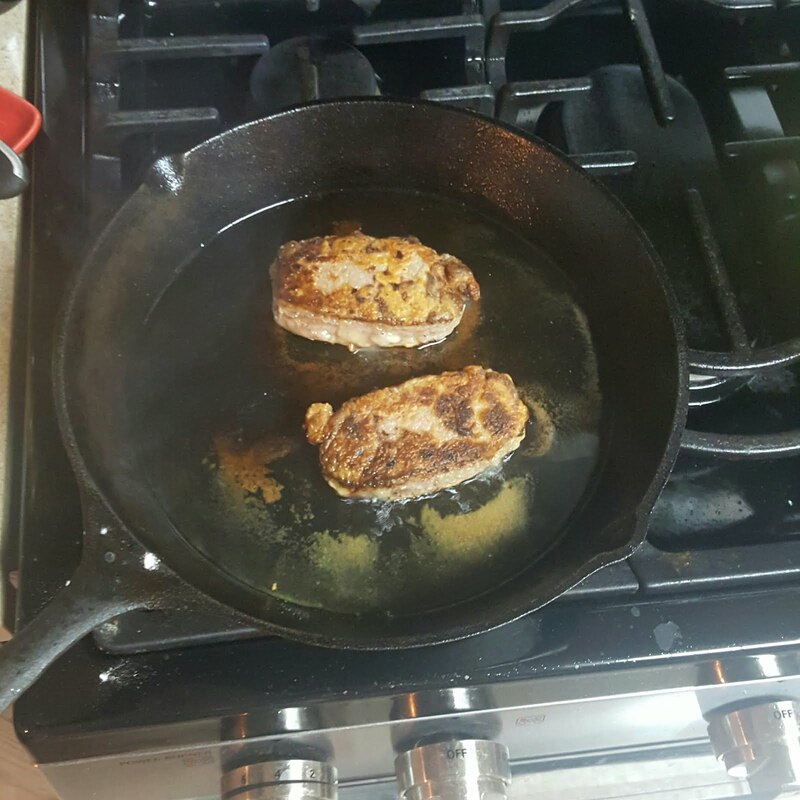 I almost immediately decided that some chicken fried venison was in order. So I grabbed some potatoes to make some home fries and got to work! Marinate the venison in enough milk to cover for 4 to 6 hours. The amount of milk you use, will largely depend on the size of the container and how many venison steaks you have. After the steaks have marinated in the milk, mix together some flour, salt, and pepper. To be honest, I didn't measure this. I just used what I thought was enough. It's always good to have extra. Generously cover the venison in the flour mixture. 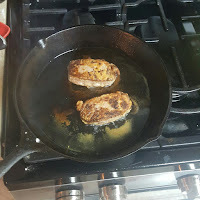 In a cast iron skillet, heat about a half inch of oil. To test if the oil is hot enough, sprinkle some flour in it. If it sizzles with the flour, it is ready. Place the venison steaks in the oil. Cook about 5 to 7 minutes a side.